I think I'd like this book. I've never read a book by her. I love that you're in sleep-in family. When the girls were younger, I would put milk from the gallon jug into a smaller container so the oldest could get cereal for her and her sister. I think they'd watch TV too while Mommy and Daddy sleep. I really need to read more of Susan Mallery. I like how she presents and deals with real life, family issues. Happy to hear you enjoyed this one and yes wasn't Bunny dreadful. I have loved all the books in the series and really though they are stand alones I'd say read the earlier ones in order because the first couple of books take up the story of various characters. 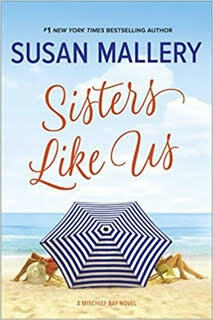 I've read some of Susan Mallery's books, and in general I've liked them. This seems like it's leaning towards the women's fiction side, which isn't my thing lately, but I am so glad you enjoyed it. Bunny sounds pretty horrific! 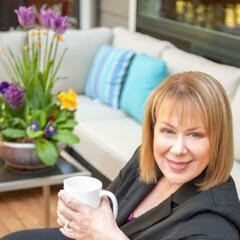 Susan Mallery is one of my favorites. I want to read this one. I love the sound of this one, Katherine - it sounds like a really interesting relationship between the women. I keep meaning to read Susan Mallery but don't think that I have yet. This does sound like a really interesting family relationship. Glad you enjoyed it! I like her stand alone novels so this is one I'll try. I am so glad you enjoyed this one. Bunny sounds so awful. I definitely have to give this a try!